With value for money in mind our holiday caravan offers an ideal base for family holidays, with all the essentials you require at a price to suit your pocket. The Granada is an exceptionally comfortable caravan with a spacious lounge and seperate dining area leading to a fully equipped galley kitchen, 1 extra large double bedroom, 1 twin bedroom and separate w.c and shower rooms. Additional double bed can be made up in lounge area. The caravan comes fully equipped with 22inch flat screen television with freeview and DVD, Gas fire and electric radiator to lounge, Additional panel heater in double bedroom, Microwave, Fridge, Gas Cooker, Hoover, Kettle, Iron and Ironing board, Radio/CD player, ample duvets and pillows (bedding pack available as a cost option) plus all your everyday cutlery, crockery and cooking utencils. 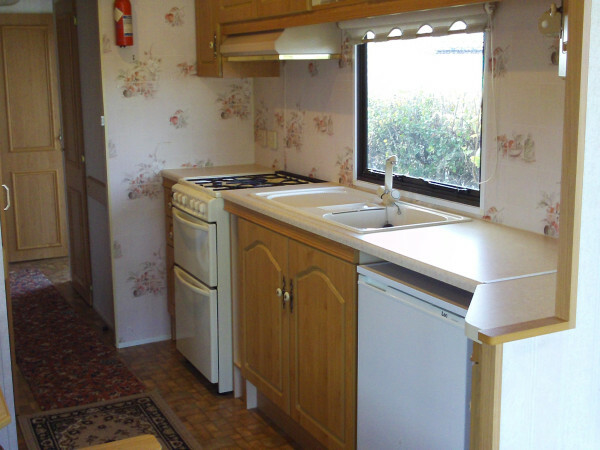 Our caravan is located on the popular Towervans Caravan Park on Seaholme Road in Mablethorpe. Situated just outside Mablethorpe town center, Towervans offers a quiet retreat, ideally located for you to enjoy all the aspects of the surrounding area. Within a 10 minute walk from both the famous award winning beach and all the entertainment of Mablethorpe. With a well stocked fishing lake (daily permit required) in the center of the park and the Tower Tavern public house also on site, offering live entertainment most weekends along with Sky sports events on the big screen, bingo and themed charity nights throughout the season, the Tavern Bistro also offers good value food and boasts a popular carvery each Sunday lunchtime. Mablethorpe is a charming resort situated to the North of Lincolnshire's coastline. It is a wonderful center for families and senior citizens alike, who return again and again.